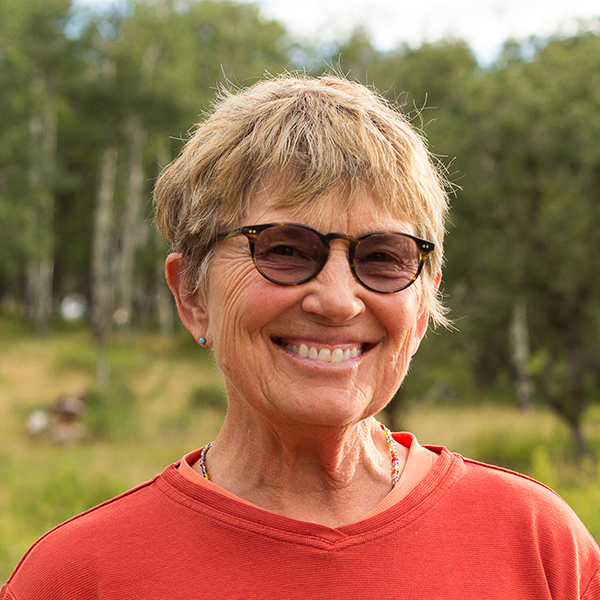 What brought you to the Grand Canyon Trust? Why do you volunteer? Initially, I wanted to support a nonprofit involved with the Grand Canyon. As we began to learn more about the Trust, I was impressed with their mission/goals and diversity of programs. Volunteering is a treat—the trips are so well organized and work is fulfilling. Beaver habitats analysis in Monroe Mtn. Tromping up mountain streams was something I hadn’t spent entire days doing before. It was an opportunity to learn so much about beaver and their importance to the environment. The trip was well-organized, safety was a priority, and staff and AmeriCorps volunteers were fantastic! One of the things I have enjoyed on all Trust trips is the experience with such a variety of talented and interesting people from all walks of life and ages- all with the common bond and love of the outdoors and concern for the environment. On the final evening on one trip in which the oldest volunteer was 82 and the youngest was in their early 20s, we were all sitting around discussing books, music, movies, and telling jokes. The cross-generational enjoyment of each other was fun and inspiring. Mary O’Brien. I am so impressed with Mary’s endless energy and endless concern for the environment. She works on the political end of issues but will also tromp around in the rain through streams and up steep mountains. She has trained countless young people and added to their environmental knowledge, always has the time to answer questions, and takes the time and opportunity for teachable moments. I feel honored to have had the opportunity to know and work with her. 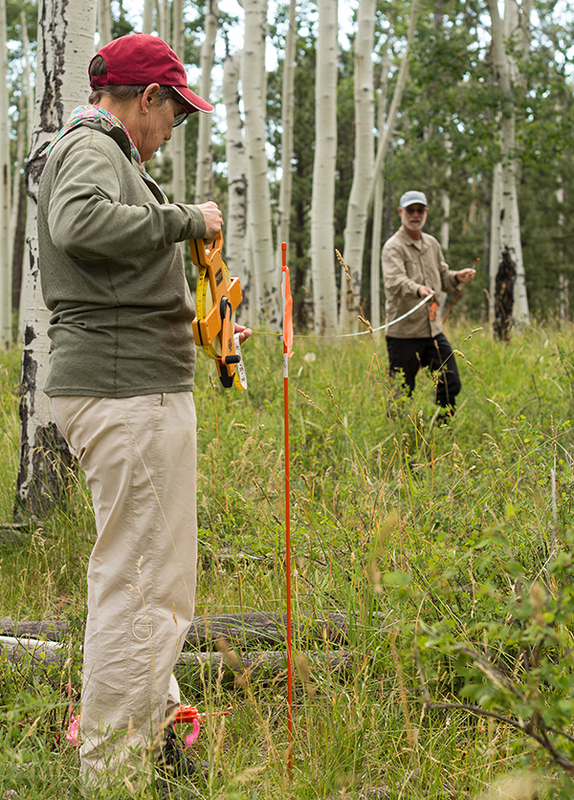 Barb Gysel lays out a transect tape at the White Mesa Cultural Conservation Area.